Join the Florida Museum and the University of Florida Thompson Earth Systems Institute at First Magnitude Brewing Co. for an engaging conversation in a comfortable atmosphere. Take part in a lively discussion with experts in the field. Topic: Saving sea turtles from red tide. 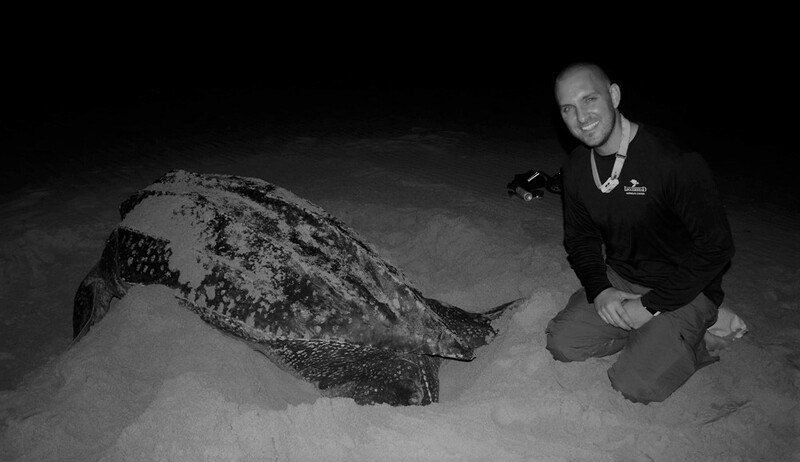 Speaker: Justin Perrault, director of research at the Loggerhead Marinelife Center – Perrault has 13 years of experience working with sea turtles and has published more than 20 papers on a wide variety of topics dealing with red tide, toxicology and the health of marine organisms. 6 p.m. – Event starts! Grab a bite, brew and mingle with faculty/staff from the Florida Museum and the UF Thompson Earth Systems Institute. 7-8 p.m. – Audience discussion led by Perrault. 8-8:30 p.m. – Meet representatives from local organizations. The event activities and discussion are FREE. Food and beverages will be available for purchase.